So here’s a little Sunday teaser for you all. 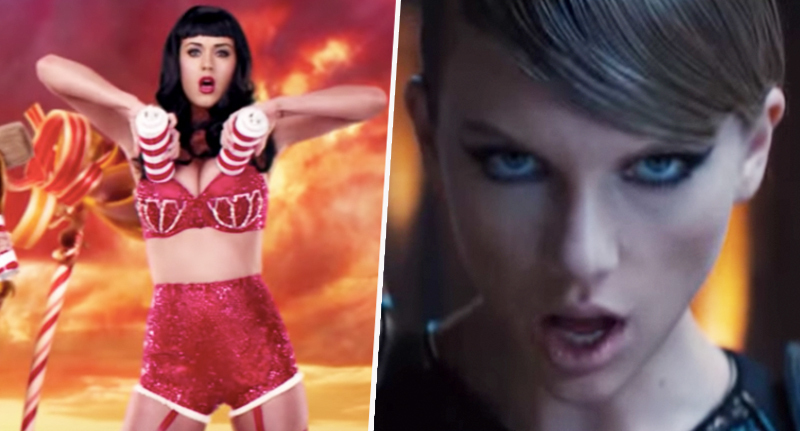 If I were to say Katy Perry and Taylor Swift had both been overtaken as YouTube’s most-subscribed female artist, who would you guess has beaten them? To be fair, I can’t say I’m big on my pop music, I’m rock ‘n’ roll to the bone, but even I was able to guess correctly on first attempt at who it was. I’ll give you a clue to make things a little easier, particularly if you’re worse for wear after a heavy Saturday night out. It’s not Britney Spears, it’s not Miley Cyrus/Hemsworth, and it’s definitely not Simon Cowell’s old pal, Sinitta. Seeing as there aren’t many more people it could be, I’m pretty sure you’ve gathered it’s none other than Ariana Grande. The American singer-songwriter surpassed the pop pair to become the most-subscribed female artist on YouTube. Pretty impressive. Not as impressive as Mankind taking a sock off his foot to create his infamous puppet Mr. Socko, but still, a pretty good feat. She’s now got more than 32.8 million subscribers, compared to Swift’s 32.3 million and Perry’s 32.3 million, at the time of writing. There’s not really that much it in if you ask me, but it’s Instagram where Ms Grande is clearly smashing it in the followers department. She boasts 145m followers on the ‘Gram, compared to Swift’s 114m, and Perry’s meagre 75m, and that’s still after she lost all those followers in 24 hours because of the social media app’s recent ‘purge’ of bots and fake accounts. We’re taking a number of steps to limit this kind of unwelcome behaviour. Accounts we identify will receive an in-app message alerting them that we’ve removed the inauthentic activity given to their account from others. We will also ask them to secure their account by changing their password. Accounts that use these types of apps share their username and password, which is sometimes used to give inauthentic likes, follows and comments to others. These new measures will be ongoing, and accounts that continue to use third-party apps to grow their audience may see their Instagram experience impacted. Grande’s also breaking records when it comes to her music videos. Her video for the song 7 rings was the biggest debut of 2019 – we’re only seven weeks into the new year so that could change – notching up 23.6 million views in its first 24 hours, report Billboard. Meanwhile, her newest video for Break Up With Your Girlfriend, I’m Bored, had the second-largest premiere of the year with 21.9 million views in 24 hours.